Facebook's new Masks feature for iOS is timed around Halloween, but it's really a jab at Snapchat. 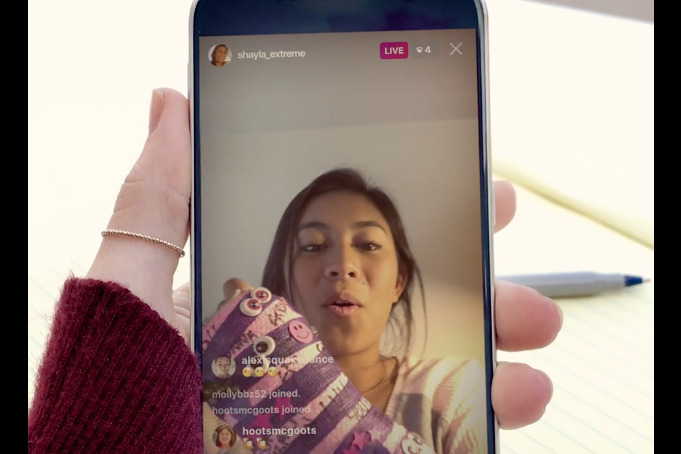 In a bid to get more people using Facebook’s Live video feature, the network is shamelessly snagging Snapchat’s selfie filters for its iOS app. 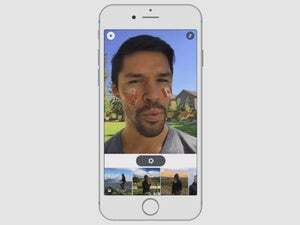 The new feature, called Masks, is timed around Halloween, so if you open Facebook on your iPhone over the next few days (and you happen to live in the U.S., U.K., or New Zealand), you’ll see a new mask option when you start shooting a live video from your front-facing camera. Specifically, you have to tap on the Live Video icon at the top of your Timeline, then tap the wand in the upper-left corner of the video screen, then select the Masks icon in the navigation bar at the bottom of your screen. Yes, that’s three taps. Then you have to figure out what to say in your video, because you’re live. That’s a little more complicated than Snapchat’s filters, which aren’t tied to live video, so you can shoot and discard as many clips as you like until you nail the last take. Snapchat also lets you apply filters to photos, which is a low-pressure way to take fun selfies. Facebook is starting with Halloween-themed, costume-like masks, including a skull, a pumpkin, a witch, and an evil queen, but will also introduce some normal masks which will hang around after the holiday. If you just can’t get into live video, I don’t blame you. You can still get in the Halloween spirit on Facebook with spooky new reactions. Facebook has swapped out the ol’ thumbs up, heart, laughing face, angry face, wow face, and sad face with a skeletal thumbs up, candy heart, laughing witch, scowling pumpkin, ghost making a wow face, and a sad Frankenstein. Look at all those spooky reactions. Why this matters: Facebook bought video filter start-up Masquerade back in March, and now we’re seeing what the team has been up to. 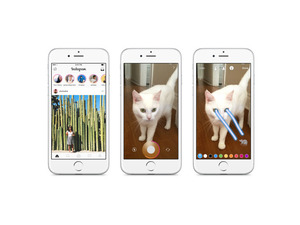 Between the newly launched Instagram Stories, a carbon copy of Snapchat Stories, and Facebook’s take on selfie filters, it’s clear that Big Blue is taking everything we love about Snapchat and bringing it to a much wider audience. Will that kill its rival? Probably not, especially with Facebook Masks being tied to Live video. But Facebook knows a good thing when it sees it, and if it can’t buy Snapchat, it might as well copy its best features.